Katherine Pilnick writes and blogs about issues touching on personal financial well-being and issues that influence it for Debt.org, America’s Debt Help Organization. 1.) Introductory Interest Rates: Oftentimes providers will start their duplicity at the beginning of your relationship. By offering you “introductory 0% interest rates for six months,” you may think that you can just keep spending and those purchases won’t charge you any interest rates. That is true — for the period of six months. If you pay off your balance in full in 179 days or less, you have won. You are not charged any interest. If, however you don’t pay for your purchases by the time the introductory period is up, then in some cases you will pay for all the interest compounded since Day 1. It’s a tricky thing and something you should look over when they first mail you those really tiny print notices. 2.) Promotional Offer Rates: Another thing that credit cards may do that you have to watch out for is offering you promotional offer rates — say for all purchases made between Thanksgiving and New Year’s, you will pay very low interest rates. However if these balances are not settled in full, again, you could be on the hook for the amount due. Just because there was no interest over that time period, you need to be wise to the terms of the agreement or you could be on the hook for the thing. 3.) Loyalty Programs: A third reason to reach out for deeper financial advice is when credit cards begin offering you loyalty programs. Because you are a “preferred customer,” they will entice you to want to spend more by dangling offers in your face that you just can’t say no to. Maybe they will offer you some “rewards bucks” or allow you “special offer days.” Whatever the offer is, these loyalty programs are just interested in getting you to spend more money than you want to. 4.) Shopping Days Bonuses: Another way that credit providers lull you into economic submission is through their special programs offering “shopping days bonuses!” If they want you to use their credit card, say, on Black Friday or the weekend after Thanksgiving, the credit providers can offer you special incentives to spend more over that time period and in return you will get some silly little trinket. Even when credit providers offer substantive rewards, it is usually only because their customers have spent sizable amounts of money. 5.) 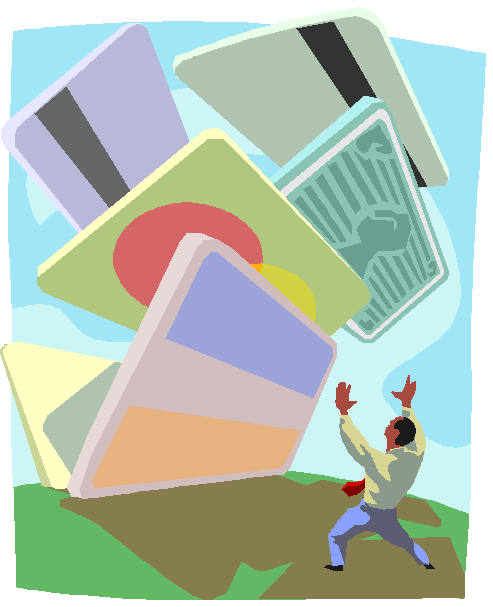 Extension of Credit: A final reason to cry for financial advice is when a credit provider offers you, as a regular, on-time paying credit card customer, more credit. Extending more credit, particularly to those waylaid by maxed out cards already, is dubious for sure. 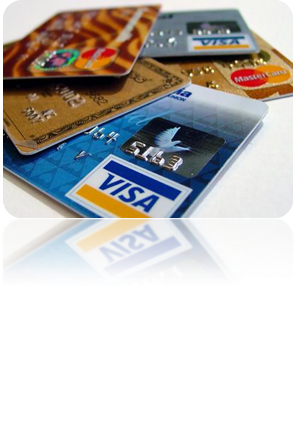 People who have reached their credit limit may feel as though they need to take a step back and settle their debts. But when a credit card says, “No, it’s OK. Here, take more!” they are deliberately making the easily victimized, victims themselves. Before I discuss the downsides of student loan default, you probably need to know what the term student loan default means. A student loan default occurs when a student accepts a loan to cover their higher education costs and fails to fulfill the payment obligations they agreed upon once the loan has entered repayment. If your loans enter default status do not feel embarrassed. Many other student loan borrowers can relate to your situation. According to the Federal Reserve Bank of New York in 2011, 27% of the 37 million student loan borrowers could not meet the repayment obligations and have defaulted on their student loans. That means about 10 million Americans could not make their student loan payments. Problems for the 10 million Americans in student loan default go above and beyond the ability to make payments. There are 6 common consequences that can occur from a student loan being placed in default status. 1.) A loan default in any category (mortgage, car, or credit card), would result in a negative effect on your credit score. When entering into student loan default, all three credit reporting agencies are notified, causing your credit score to drop up to 150 points. The maximum credit score is 850. What is considered poor credit starts below 700 points. If your credit score started at 850 points, a credit reduction of 150 points will have a negative effect on your ability to receive additional loans in the future. A poor credit score can result in a denial of a future mortgage, car loan, or even the opportunity to obtain a credit card. A loan default can also affect your ability to attend higher education institutions. 2.) While your student loans are in default status, you cannot receive additional financial aid. If you want to return to college and receive your associates, bachelors, masters, or even Ph.D., and your loans are in default, you will have to fund the complete cost of your education without federal aid. This means, you will also not be eligible for federal, state, or institutional grants, scholarships, or loans, regardless of where you previously attended. 3.) The federal government can garnish your wages. One avenue the government can use to receive payment on your defaulted loans is through wage garnishment. Wage garnishment is where the federal government takes a percentage of your paycheck until the student loan debt has been paid off. The federal government may take up to 15% of your wages, but the amount they take cannot exceed 30 times the federal minimum wage. 4.) You will not receive a refund from your tax return until you are out of student loan default. Along the same avenue, the federal government can also withhold tax refunds from the federal or state tax returns, and apply the funds to the overall student loan debt. In addition to the garnishments listed above, the government can garnish federal benefits you receive to pay towards your debt. An example of this would be, garnishing your Social Security Disability benefits (SSD). 5.) You can be sued for debt owed. Another way the government can receive funds owed is through the court system. The federal government can sue for defaulted student loan debt. Also, provisions for a statute of limitations do not exist. This means the federal government does not have a time frame limitation to sue and can bring a case against you to at any time. The last two consequences include bankruptcy and additional fees. 6.) 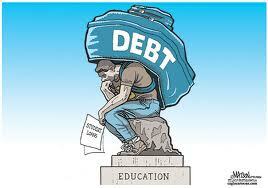 You cannot discharge your student loans in bankruptcy and you will be charged additional fees. Bankruptcy is a reallocation of your assets to resolve your debt issues. In previous years, student borrowers could include student loan debt in bankruptcy. Now that policies have changed, student loan debt can only be included if approved by the court. Additional fees, charges, and collection cost involved in the defaulted student loan process mark the last consequences to consider. Each debt retrieval avenue listed above costs either the federal government or collection agencies money. The costs are then passed down to you, as the owner of the loan. These fees will only increase the amount owed on the loan, and increase the repayment period. Life happens, and situations can arise that make the repayment of a student loan difficult or even impossible. Loss of a job, the inability to find employment after graduation, or just not earning enough money can all be reasons a loan may go into default. The government understands these situations and has alternative repayment options for borrowers who fall into hard times. Before your loans go into student loan default, be proactive. Call your lender and find out about the different options that may be available to you. There are other options to help you through these tough times before causing further financial headaches. With graduation just around the corner and student debt ever on the rise, here are a few tips to keep your head above water once you get thrown in the deep end. In the 2010-2011 academic year, Purdue West Lafayette undergraduate students who borrowed, graduated with an average of $27,286 ($314 monthly payment*).That is an average of $24,056 ($277 monthly payment*) for Indiana residents and $36,760 ($423 monthly payment*) for non-resident. Consider these tips wherever you are in the borrowing cycle. 1. While you’re still in college, only borrow what you need. If you live like a king in college, borrowing the maximum amount of loans offered, you will pay for it dearly once you graduate. In order to avoid the sticker shock of your cumulative student loans, take the time to calculate your monthly payments each time you receive another aid disbursement. There is a simple calculator on the Federal Student Aid website. Live frugally while you are a student, get a part-time job and live like a king when you graduate—or live a little less frugally anyway. 2. Set up automatic account withdrawal for your loan payments. Some loan servicers will actually cut your interest rate by one or two percentage points after you sign up for an auto-withdrawal service and continue to make on-time payments for a specified amount of time. Just make sure to watch your account’s cash flow to cover your loan payments, avoid insufficient fund fees, late fees and a lowered credit score. A lot of times, you can specify a date that your payment is withdrawn. If you make the auto withdrawal date after pay day, you can make sure that your student loans are your first priority. 3. Pay off your student loans first. Even if your other loans have higher interest rates or more fees, it is actually a better idea to pay off student loans first because it is often unforgivable, meaning that even if you do hit hard times and need to file for bankruptcy, you will still have to pay back the amount you borrowed. Defaulting on your student loans will wreak havoc on your credit score. Your wages can be garnished. Your tax refunds will be withheld. Even your social security income could be taken from you if you haven’t paid off your loans by the time you retire. That being said, these loans should be your top priority to repay. 4. Make at least one extra payment per year. Make more if you can. If you pay one extra payment per year directly toward the principal, you will cut the amount of interest paid and pay off your loans in less time, freeing up future income for other projects. Inquire if you can automatically set up extra payments just like your monthly payments. 5. Think about negotiating the monthly payment of your student loans into your first starting salary. If you don’t, you are allowing yourself to take an instant pay cut. If you have $345/month payment ($30,000 student loans at 6.8 percent), your salary will be instantly cut by $4,140! 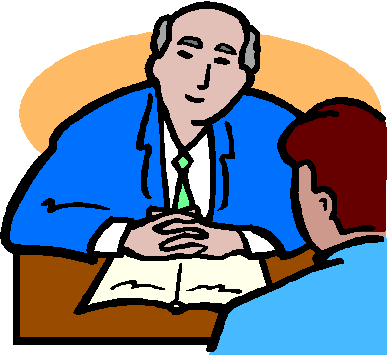 You will want to say something about this once salary negotiations are underway, not during your first interview. *Payments are calculated on 6.8% interest over the standard repayment period of 10 years or 120 payments per the federal student loan calculator.